What is Gryphon Sales Intelligence? Why use Gryphon Sales Intelligence? Accurate Sales Performance Dashboard - Gryphon delivers intuitive dashboard displays that you can tailor to agent call activity in real time, so you can make faster, smarter decisions based on reliable data captured from any phone. Visualize Your Sales Productivity On-Demand - Gryphon delivers accurate sales productivity metrics through cloud-based technology that lies in the path of every call. Call activity data is automatically captured or easily recorded through keypad disposition tags, giving you unprecedented insight into your organizations' sales performance across regions, offices, or individual reps.
Gryphon App for Salesforce.com - Gryphon delivers telephony integration within your Salesforce.com contact and lead views.  Through a download from the AppExchange and a Click-to-Dial icon enabled, users can call with all contact data visible and have their call activity automatically entered without having to key it manually. Keypad Disposition Tags - Through the simple touch of a button, reps capture call outcomes or customer responses—like how prospects are responding to offers—without having to do this manually, which analysts say is less than 50% accurate. Secure Cloud Call Recording - Turn previously inaccessible information—call audio data—into a wealth of actionable insights with a secure cloud service that captures phone-based conversations for training, targeted coaching or audit purposes. Reduce training time by up to 30% and automatically redact sensitive information to ensure privacy and compliance. Gryphon Speech Analytics - Targeted on-demand conversational insight into the recorded voice conversations of your agents. Gryphon Speech Analytics improves transparency and makes it easy to stay on top of the phone-based customer interactions of your distributed sales team. Calls made from any phone or device can be recorded for quality assurance or regulatory compliance to improve sales and marketing effectiveness, troubleshoot issues, and reduce risk..
Bullet-Proof Do-Not-Call Compliance - When your sales force makes calls through Gryphon’s cloud-based technology, the contact is matched against a comprehensive database of Federal and State do-not-call rules. If the contact is on a DNC list, or other rules like curfews are in place, the call is blocked. Additionally, there are no latency risks or campaign delays like you find with list scrubbing solutions.